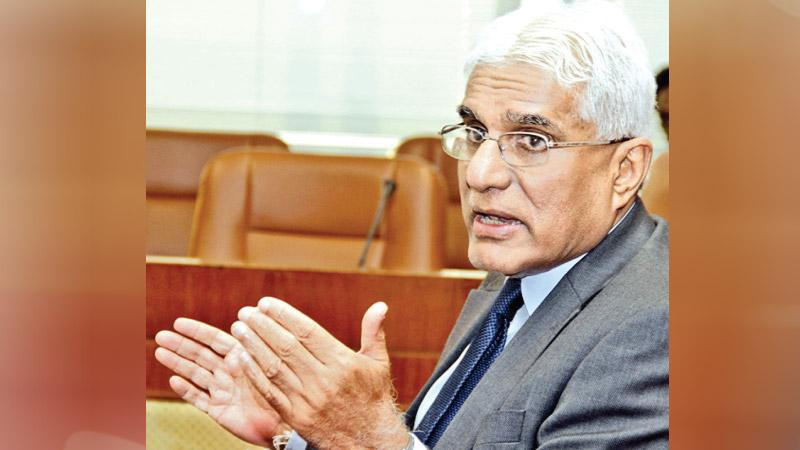 Sri Lanka will maintain an economic growth of around 3.75% in 2019, said Central Bank Governor Dr. Indrajit Coomaraswamy at the Sri Lanka Economic Association (SLEA) annual session held in Colombo last Friday. He said that ideally this should have been around 5.75%, but it does not seem a reality. “However, two of the key factors, Hydro power generation and low oil prices that contribute largely to the economic growth are now in a positive position. Due to this, Sri Lanka may have an even higher economic growth in 2019. He said that the former Treasury Secretary, Dr. P. B. Jayasundera too had repeatedly said so. Dr. Coomaraswamy also highlighted the recent visit made by Finance Minister Mangala Samaraweera to Washington DC and said the Minister visited Washington DC, for two reasons, one being to signal the Senior IMF Management that Sri Lanka’s economy is engaging with IMF through the Extended Fund Facility (EFF). “The other was to signal the IMF of the staff level agreement that the Government reached on October 26, since it was not announced on that day, due to the then development that took place in the country,” he said. Dr. Coomaraswamy said the country needed some clearance from that because of the facts of the ground had changed. Sri Lanka still has a low tax economy and therefore the Government should focus more attention on collecting much more taxes in order to carry out the expected future development activities in the country. Addressing the gathering, Dr. Coomaraswamy highlighted that Sri Lanka’s Macroeconomic policy instruments refer to macroeconomic quantities and added that it was directly controlled by an economic policy maker. He said instruments could be divided into two sections: the monetary policy instruments and Fiscal policy instruments. He also said the Macroeconomic policy includes the country’s taxes, government spending and borrowings, exchange rate determinants and monetary and credit rules. “The primary goal of effective macroeconomic policies is to reduce uncertainty and risk in economic decision-making,” he said. According to Dr. Coomaraswamy, the Macroeconomic policy is usually implemented through two sets of tools: fiscal and monetary policy and both forms of policy are used to stabilize the economy which could mean boosting the economy to the level of GDP.